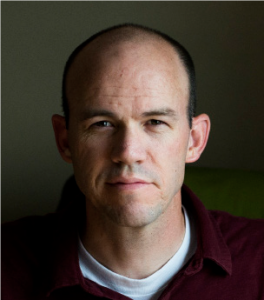 Brock Jones is an assistant professor of English at Utah Valley University and the author of Cenotaph (University of Arkansas Press, 2016), a finalist in the 2016 Miller Williams Poetry Prize. His poems have appeared in the Iowa Review, Lunch Ticket, Ninth Letter online, Poetry Daily, Raleigh Review, Sugar House Review, War Literature and the Arts, and others. Brock is a veteran of the U.S. Army and served three tours of duty in Iraq and one in Afghanistan. He lives in Spanish Fork with his wife and daughter.